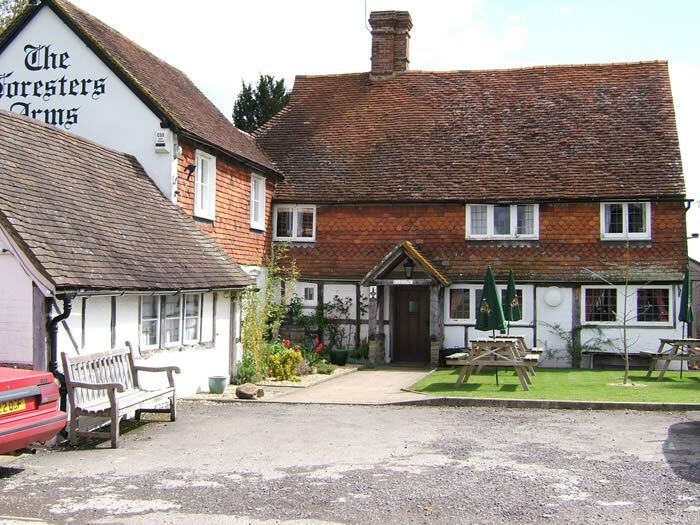 The Forester's Arms is a charming, 17th century, wooden-beamed, country pub with inglenook fireplaces, stone and brick floors in a quiet village setting. Two bar areas serving beers from Hall and Woodhouse including Badger Best and Sussex. The larger bar includes a dining area. There is an attractive garden at the rear of the pub with a boules/petanque area. There is a bonfire on the village green next to the pub for Bonfire Night. The pub was originally named after The Ancient Order of Foresters which was a friendly society in the 19th century. The Half Moon Inn is just round the corner. The Cricketers Arms and the Limeburners are also nearby.